OFFICIAL CONFIRMATION ABOUT RAJINIKANTH'S 2.0 POSTPONEMENT RUMORS! 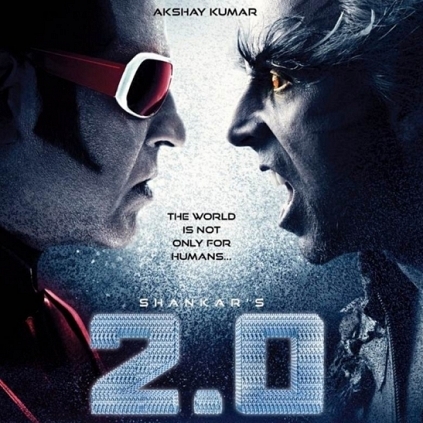 When Rajinikanth's 2.0 was initially launched at a grand event in Mumbai, the first look carried a line that said the film would release for 2017 Diwali. Later on, Lyca Productions announced that the film will be pushed to January 25th, 2018. Recently, many rumors suggested that the film will be facing further postponements and will come out only in the month of April. But we got in touch with Raju Mahalingam of Lyca Productions, who confirmed that these are just rumors and that 2.0 will release for Republic day weekend, as planned. The post production works for the Rajinikanth, Akshay Kumar and Amy Jackson starrer are progressing in full swing. People looking for online information on 2.0, Akshay Kumar, Rajinikanth will find this news story useful.